Home » Blog » Coastal Contact Review – Should I Buy from them? Coastal Contact Review – Should I Buy from them? Coastal started as a contact lens retailer and was very popular before eventually transitioning into eyeglass offering. Their Pay Your Way feature endears them to most people and sets them apart from the competition. It’s easy to manage your payment since you can pay in three installments over the period of three months. It’s also a good one if you are reluctant about sharing your credit card information online. Their eyeglasses and frames start at $19. And you get up to $10 off contact lenses and free shipping if your order totals $99 or above. Their price match guarantee enables you to match competitor’s price too. So that when you find a cheaper offering for their pairs, you can still buy from them. So, you can easily match that and save yourself the stress of transferring your details to another retailer. The company actually have a large inventory. This means that you can order quite a few different items ranging from sunglasses to contact lenses to eyeglasses. To make understanding them better, we’ll divide this section into two sections. One will deal with buying lenses and the other with eyeglasses. There are quite a few options here including Toric lenses, RGP lenses, color lenses and others. If you are an astigmatic patient, the best contacts to use are toric lenses. They offer different focusing powers on different portions of the lens to enable the wearer to see more clearly. The RGP (rigid gas permeable) lenses are those that provide more durability and better vision compared to soft contact lenses. Many users have stated that these offers them the acuity of traditional lenses with the absence of discomfort. The color lenses offer an effective way of altering or masking your eye color. This contacts can transform your dark eyes into green, blue, red, or hazel color without causing discomfort. You can buy them for fashion or fun purposes. Or to enhance your natural eye color temporarily or give the appearance of a completely different iris hue. The company also have Vial lenses are those that require regular clean but can last for up to a year. Disposable lenses – these are intended to be discarded after use either daily, weekly or monthly. Usually, disposable lenses require no cleaning or little amount of cleaning, which makes them more attractive to wearers. You can check the disposable lenses from Coastal (here). Multifocal lenses – Coastal also have lenses that address different vision issues such as presbyopia, myopia, etc. 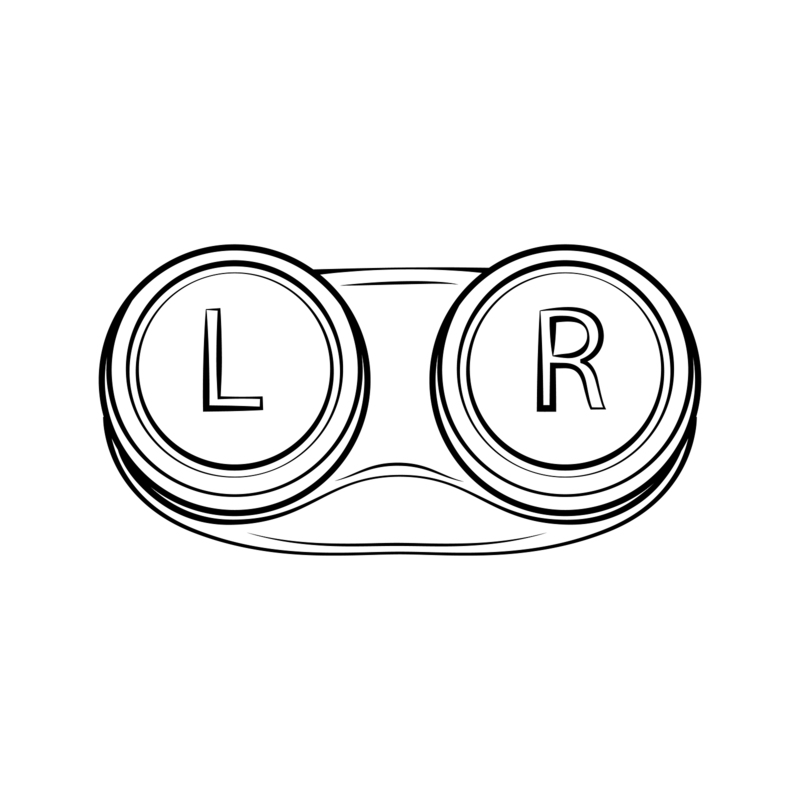 They come with two or more lens powers to help you focus on objects that are far or near. But this may depend on the problem with your vision. Another cool thing about Coastal is that they hold a lot of brands that you can select from. With over 30 brands, the likelihood that you will find the right match for your is greater. Eyeglasses are different from your contact lenses and come with more varied options to look at. There are a couple of options here. Depending on your needs and preferences, you should be able to get one that suits you. The company offers reading glasses for those who have difficulties when reading the fine print or items close at hand. Depending on how much reading you do, you can get full-size or half-lens styles from Coastal. If you use glasses occasionally, you should get those half-lenses. However, if you read a great deal, you should choose larger lenses. You can also get Bifocals (these have two segments with differing strengths with the upper part designed for viewing distant objects and the lower part for viewing physically closer objects. If you have farsightedness (and with blurred vision for close range items viewing), bifocals will give you the best solution. When you go outdoors, you take on a lower light level from the indoors. And to protect your vision, this lenses will darken and reduce the intensity of the indoor light, most especially ultraviolet lighting. And with lens tint options, you can add any color to your lenses which you can use for your sunglasses. The website is quite clean and intuitive with information clearly provided and straightforward. If you are a first timer, finding what you want shouldn’t be more than a few clicks. The ordering process is also simple and in proper order. When ordering, you’ll be able to select your distance, and whether you are looking to buy bifocal, progressive or reading glasses. You can then select sunglasses, photoChromic or clear lenses after which you’ll move on to the lenses index to select one of the available options. The company also operates a buy one, give one program with the aim of improving vision abroad by giving a pair (for free) for each pair you buy. Coastal offers frames that begin at the $19, which is at the lower-region – compared to what you may find with other online retailers – and you will be able to find a couple of name brand lenses at reasonable prices too. Whether you are looking for <$20 glasses, regular tints, or high-indexes, you should be able to find what you are looking for in their offerings. They are the go-to for budget frames and their excellent customer services seal the deal for may users. Also, they offer price match where you get them to match or beat a competitor’s price when you see the same pair at a cheaper price. This offers two benefits. First, you save money and time since you don’t have to change the online store you are used to. Second, you don’t have to transfer your payment details to another retailer and start from scratch. Unfortunately, Coastal doesn’t offer accessories to match your contact lenses. Some retailers do offer accessories like contact cases, lens inserter & remover, eye drops, and contact solution. However, aside from the first and last one, you can do without these accessories especially if you are a beginner. Often times, you may not even need any of them – this mostly applies to daily contact lenses. Handle your lenses with clean dry hands and do not wear another person’s lenses – they should not be shared. Use a multipurpose solution for cleaning, disinfecting, washing and storing the lenses. Store your lenses in a fresh solution after disinfecting them and clean the contact lenses case daily with hot water or sterile solutions – and leave it to dry. Make sure that the tip of the solution bottles doesn’t touch other surfaces. When finished with your solution, make sure that the cap is on securely after use. Wash and dry your hands thoroughly before touching the contact lenses. Place the eyewear on the tip of your index finger, ensure that it has a natural bowl shape and looking straight at your eye in the mirror, slowly and gently place the contact lens on your eye. You can gently massage your eyelids to center it on your eye pupil. Wash and dry your hands thoroughly as before and looking upwards, hold down the lower lid with a finger from any hand. Slowly and gently, using your finger, slide the lens to the white area of your eye below. Gently pinch the lens from your eye, repeating this procedure for the other eye to remove the lens. Always cleanse your lenses with lens cleaning and sterile solution before wearing and removing. Always store lenses in a clean lens care and be sure to wash your lens cases on a regular basis before storing your lenses. Most colored contact lenses are for short-term fashion wear so it’s important to not wear them more than the required time frame. If you plan to wear your lenses frequently, make sure to clean your lens storage every week and avoid sleeping in your contacts. Live Chat – If you have any questions or inquiries before making your order, you can easily contact the retailer through their Live Chat. You’ll be able to communicate with a company representative, right on their website, which is a speedy way to get useful assistance without the extra hassle. Phone & Email – While Live Chat can be faster and more user-friendly (this is good if you are a beginner), you may not be able to access the feature at hours or some part of the day. Typically, the live chat is available at a specific time of the day as well as selected days of the week and outside this time, you may only be able to reach the retailer through phone and email. Coastal will provide answers to your questions when you email or call them. Returns – Coastal offers returns for lenses you bought 6 months before the expiration. This means you can have the lenses but have to return it before the 6-month mark in cases where your prescription is updated and you need different lenses for your needs. This typically applies to lenses but if you are shopping for eyeglasses, the time is significantly higher (which is 1 year). Some companies only have 30-day return policy while others offer a mere 10 days. Having a significant period (like Coastal offers) allows you to return glasses, frames, or lenses that don’t work for you. Reorder Prescription – Again, this is another useful service that you can enjoy when you shop at coastal.com. You can reorder the same contact lenses from the Coastal website without having to enter your information again. This is great especially if you like to make new orders on the go. It’s also nice to know that your information is secure and you make an order with only your card anytime, anywhere. Prescription Assistance – One of our favorite thing about Coastal is that they don’t just leave everything to you – which can be complicated if you are a beginner. You’ll get educational information on how to order your lenses, how to care for your eye and lenses, and other valuable tips that can make your experience as smooth as possible. Prescription Exchange – Sometimes, you may not be able to use your lenses for certain reasons. When this occurs, Coastal will allow you to exchange your unused contacts if your prescription has changed before you are through with your lenses. This is good because you can update your prescription anytime without fearing that unused lenses will go to waste if your prescription changes. Processing Fees – Coastal is one of the companies that charge handling fees if you order your lenses through insurance coverage instead of directly. They charge 7% on all orders but other companies may have a different percentage. Standard Shipping Time – This company offers inexpensive shipping options if you are getting your lenses directly to your home. Their standard shipping time is 4 business days but sometimes can be more so take note of this. For eyeglasses, the ETA is 5-7 business days, although it’s only a few days difference. Free Shipping Minimum – Coastal have a free shipping minimum, a common term for online retailer that is used to represent a threshold amount you need to spend before the company can pay the shipping costs. While others don’t offer free shipping at all, Coastal offer free standard shipping on all orders above $99 so be sure to take advantage of that. Order Tracking – After ordering your contacts from Coastal.com, you’ll be able to track the location of your orders on the company’s website. This is a useful feature that can be very important when glitches occur and you are unable to get your lenses at the ETA (expected time of arrival). Expedited Shipping – Coastal also offers expedited shipping if you need your contact lenses fast. However, you should expect to pay more to have them delivered sooner than the standard shipping option. International Shipping – Not all customers are ordering from the US and Coastal understands this. If you are outside the US, you can still order for your desired lenses and the company will ship it to wherever you are.